Governance Now has won the 20th PoleStar Award for the best feature in Business Journalism, for the cover story, ‘A tangled wireless tale’ (November 15, 2017 edition) by special correspondent Pratap Vikram Singh. The award ceremony was held in Chennai on November 23. Pratap reported on the disruption in the Indian telecom industry, and what it means for the government, the banks, and the consumers as only three telecom players have come to dominate the market. 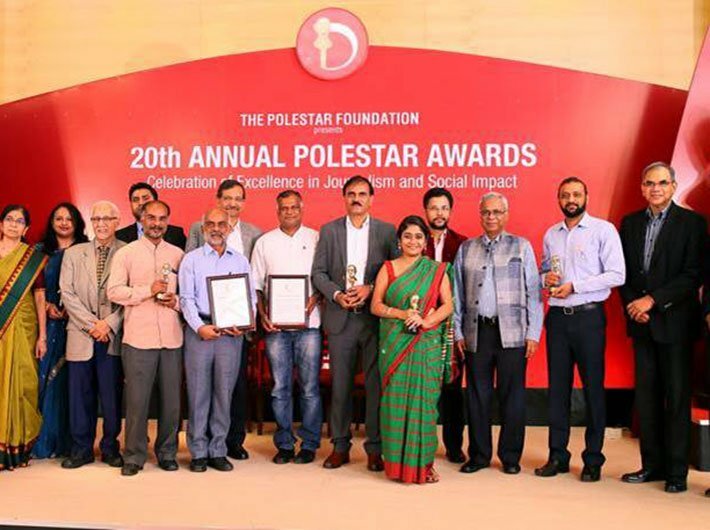 The PoleStar Foundation is an independent Trust established in 1998 to recognise excellence in journalism and social impact in India. This year, it received 473 nominations (Journalism - 343; Social Impact - 130) from journalists and social impact enablers from across India. The entries were evaluated by a panel of jury members from the corporate world and academia.